Hannah is a specialist in Lymphoedema management and enjoys providing lymphatic drainage treatment, and home care education to her clients. Hannah enjoys working with older populations to assist with increasing mobility and decreasing discomfort of chronic conditions. 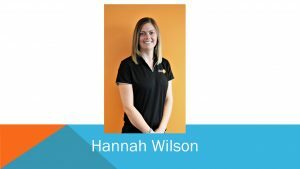 Hannah is the official Soft Tissue Therapist for the Canberra Womens basketball team, the Canberra Capitals and has developed and held this position for several years. Her personal experience in dance and basketball mean she is also great with sporting injuries particularly related to these fields. Hannah is available for appointments at both the Macquarie and Deakin clinics. NB* Hannah is only available for 60min duration in the case of an initial or Lymphoedema consultation . All first time clients are required to call the clinic prior to booking. Returning clients please choose 30min or 45min duration. SATURDAY BOOKINGS 45min (standard) only.